Dynatrace monitors the 10 most critical Memcached metrics including cache usage, number of connections, hits, misses, and more. See the full list of Memcached metrics. No configuration required. Just turn on Memcached monitoring. Dynatrace automatically detects your Memcached servers on all monitored hosts. Dynatrace provides full stack monitoring of web applications down to the host and process levels. Monitor applications, services, processes, and hosts—all with a single tool. System performance metrics (CPU, memory, and more) are available on the System performance tab. See the full list of Memcached metrics. 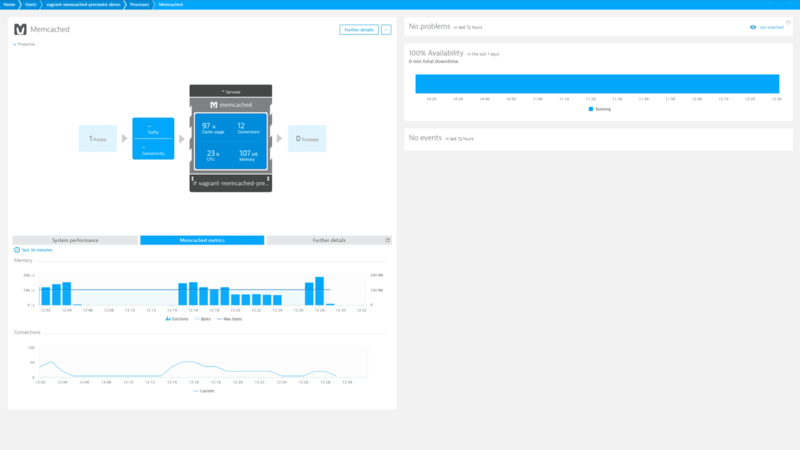 Dynatrace provides full stack web-application monitoring down to the host level. Problems are identified using Dynatrace artificial intelligence. 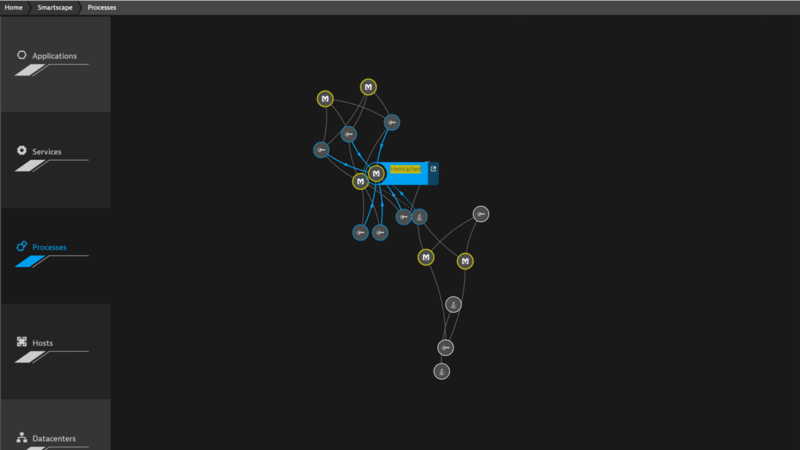 Dynatrace smartscape technology visualizes all the dependencies between your applications, services, processes, and more. Memcached is an open source, high-performance distributed memory object caching system. Though generic in nature, Memcached is designed to speed up dynamic web applications by alleviating database load. Memcached is an in-memory key-value store for small chunks of data (for example, strings and objects) that are utilized in database calls, API calls, and page renderings. Start Memcached performance monitoring in under 5 minutes with our free trial!